More commonly associated with Wall Street than Main Street, NYC’s Financial District hasn’t traditionally been seen as a shopping hotbed, but the neighborhood’s recent architectural and retail revitalization—spurred by hubs at Westfield World Trade Center and Brookfield Place—is encouraging retailers to use the neighborhood as a new testing ground for design and service concepts, before applying them to Main Street flagships. Below are 6 of the most exciting new retailers shaking things up downtown. For even more NYC shopping insights, PSFK’s New York City Retail Guide presents a detailed neighborhood-by-neighborhood look into the innovations shaping the city’s retail landscape. 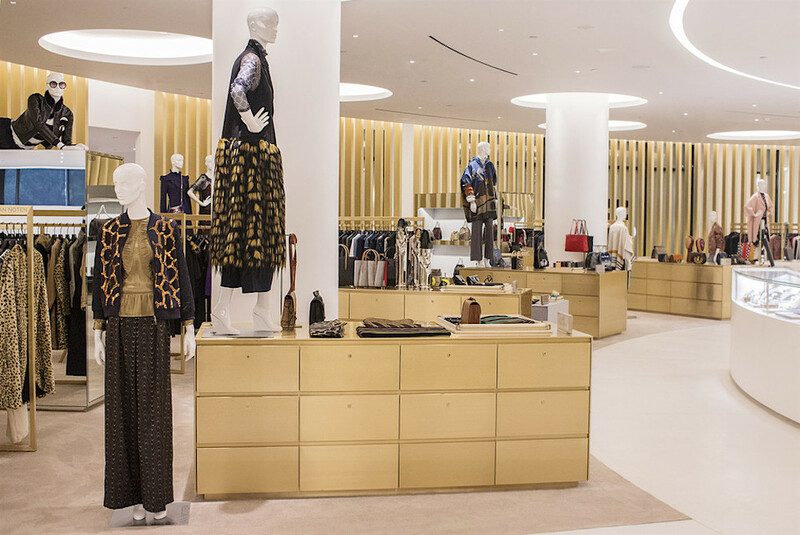 The layout of this unique Saks location is inspired by the experience of online shopping: circular paths and side spaces mimic endless browsing and facilitate discovery, while displays include clothes laid flat on tables as you might see in photos online. 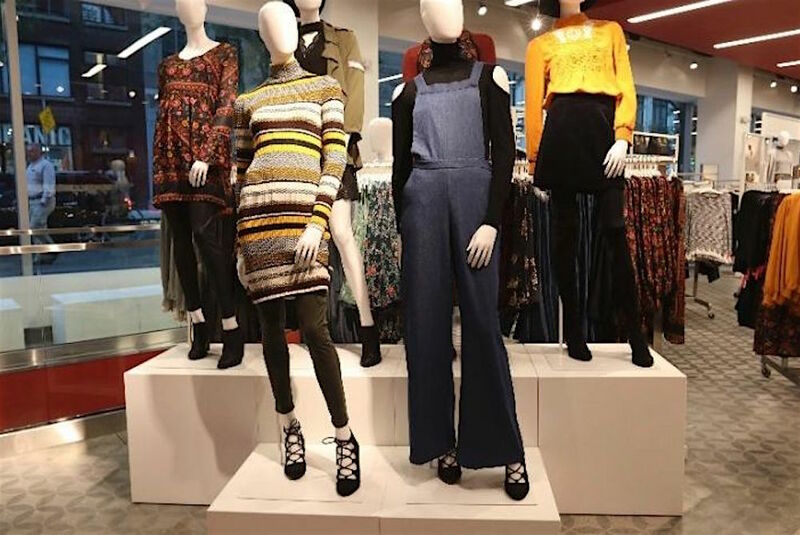 Store associates, who are hired in part based on their social media savvy, manage their own profiles online, where they showcase their personal style and communicate with shoppers to book styling appointments. Designed specifically with its urban locale in mind, this Target store is about one-third the size of other locations and carries unique items for city dwellers. The included Chobani Café caters to local office workers and tourists. 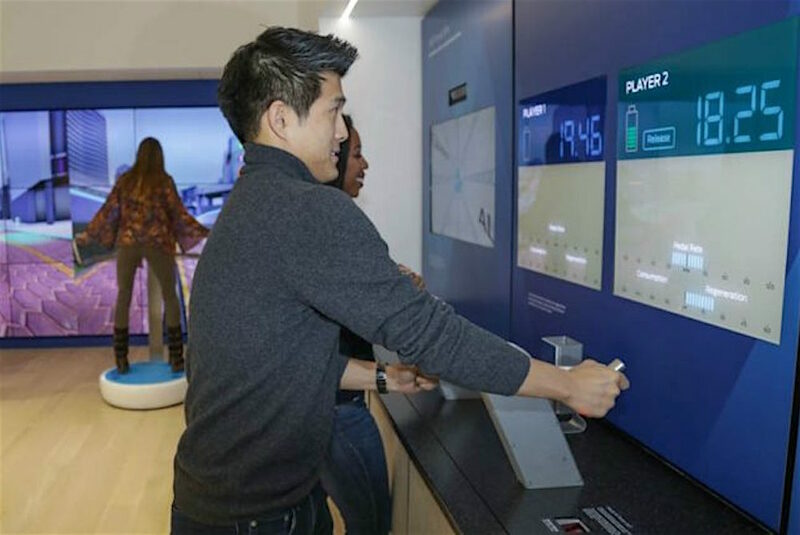 Featuring a series of interactive exhibits and games, this brand experience center doesn’t sell anything, but instead aims to showcase Ford’s perspective on the future of mobility. By exploring modes of transportation beyond the traditional automobile, FordHub provides a setting for the brand to redefine itself with the public more broadly as a total mobility company. 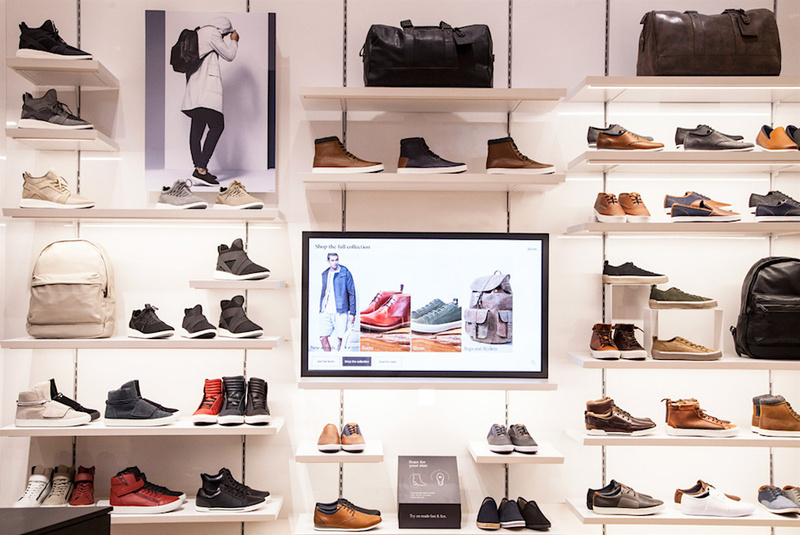 Aldo’s downtown location merges in-store tech and associate training to create a customer-focused experience. Using resources such as mobile apps and touchscreen displays, customers can shop an endless aisle of inventory or call an associate for assistance; associates use tablets to access detailed product information as well as to order a runner to retrieve requested items, allowing for uninterrupted service. 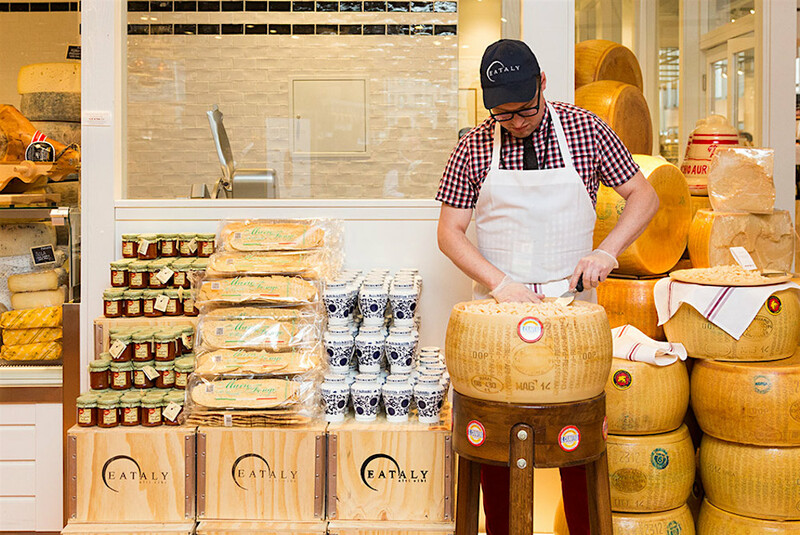 At Eataly’s Downtown location, visitors are transported to a vibrant Italian marketplace where grocery shopping and restaurants become a cultural destination. The downtown location combines fresh produce, specialty food items and food-themed merchandise into an all-in-one experience where visitors can shop and dine. Offering an updated take on the classic NYC newsstand, New Stand provides a rotating selection of commuting necessities and quirky gifts in select subway stations, and now the NYC Ferry system. 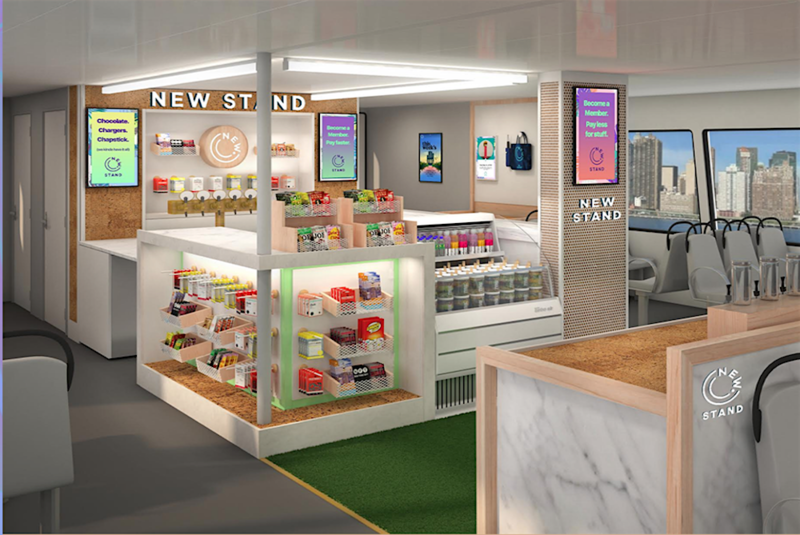 The Ferry New Stands are designed as modern takes on the concession stand, with an emphasis on artisanal snacks and drinks, including a rotating selection from the food incubator Brooklyn Foodworks. For even more shopping insights, check out PSFK’s New York City Retail Guide, which presents a neighborhood-by-neighborhood guide to the innovations shaping the city’s retail landscape.